In today’s career generation, most people prefer to work from home. People that have kids and for those who wanted to escape the hustle and bustle of busy streets are mainly a fan of home-based jobs. Cutting the cost of effort going to offices, the time and preparation that you put in before going to work, home-based jobs offers you efficiency and hassle free working environment. It gives you the comfort of staying working just in your own home. So you’ll probably go to start up finding a space in your house where you can set up a working office. 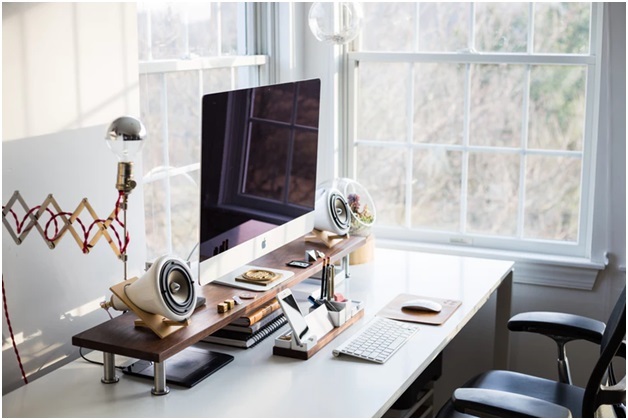 Take a look at the things listed below that you might consider in creating and starting up a viable home office. It is the first thing you need to consider. When you have a spacious house, then it’s not a problem to find a better space. On the other hand, if you have limited space, it is best when you seek a location on your house something you feel like working best. It is still better to utilize portable and wireless types of equipment to be able to move from one to the other. In this way, you can also explore different location in your house where you can work productively and without destruction. Also, you may also consider the privacy. Of course, no one can do a job if the environment is too noisy. Make sure you look into this. Keep in mind as well some other equipment that you will be using should have a quiet speed. Consider the type of job that you are going to do and the equipment you need to deliver the results well and good. Your tables, desk and chairs should be durable. When you buy these materials, look for something with high quality and will last longer. Of course, you want to sit and settle onto something where you can be most comfortable with. Consequently, lighting is also the most crucial and vital part in creating a viable working office. Natural light is essential. However, if in any case your location is covered and has no windows, make sure that you select the best lighting setup especially during evenings. Of course, you need a space to put and place your paper works. Along with your desk and chairs and other equipment, you need to secure a cabinet or a rack where you can put all your paper records. You do not want any papers to fly anywhere in your working space and don’t want to lose any information as possible. So, it is a must that you create some storage so that everything will be in order. Not only that, but you can also add plants and succulents to make it colorful and peaceful. Plants can relieve stress. Human exhales carbon dioxide and plants releases oxygen that our body needs. The plants that you put in your home office will not just help the air fresh, but it reduces the toxins that your equipment releases. It maintains your room’s humidity and raises your level of optimism. In such a way that you feel good the next day as you work, always find time to maintain your working home office as clean as possible. Work is stressful, and it can be more tiring if your working place is messy and dirty. Most of the time working from home has a lot of significance. Work and personal life are better in balance and cut the cost of commuting every day. Once you work from home, take time to build and design your working home office as Black Mango does.